A review of Ontario's real estate regulations is long overdue, says the president of the Kitchener-Waterloo Association of Realtors. Current guidelines have not been updated since 2002. Brian Santos, president of the Kitchener-Waterloo Association of Realtors. The Ontario government is looking to change the way we buy and sell our homes, and give consumers more options in that process. The province has announced that it will review the current Real Estate and Business Brokers Act, a move that is long overdue according to a local real realtor. 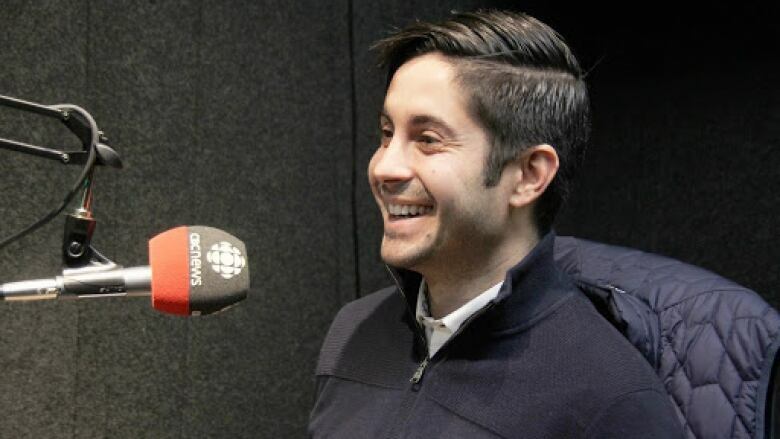 "They're looking at doing a bunch of different things in order to improve that process and ultimately I think if people have options they're going to be happier," Brian Santos, president of the Kitchener-Waterloo Association of Realtors told Jackie Sharkey, guest host of The Morning Edition. According to Santos, there is a supply shortage when it comes to homes across the province, which means most properties end up with multiple offers on them before a final buyer is chosen. "We're sitting at about 700 listings in Kitchener-Waterloo, which is just above half of what our normal inventories are," he said. One of the potential changes in the new real estate act would allow buyers to find out the prices and conditions of competing offers, when involved in a bidding war. As it stands, realtors in Ontario cannot disclose anything about competing offers, other than the fact that they exist — a process that often leaves the people who lose out in the dark. Residents can provide feedback on the process until March 15, at this website.